In Italy, many dishes are sprinkled with grated hard cheese as a final flourish before serving. 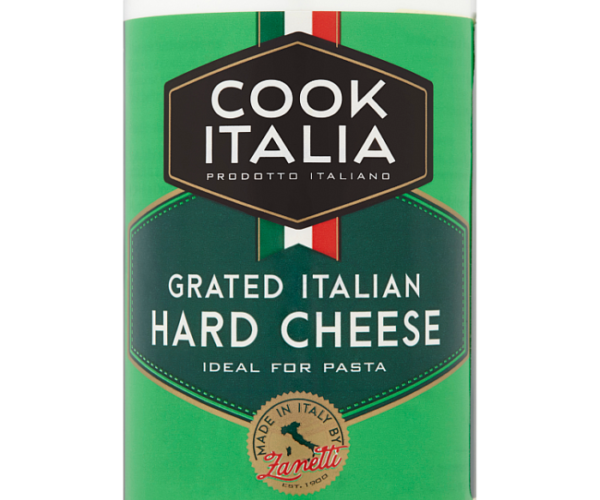 Our Grated Hard Cheese is genuinely Italian and adds that special touch… in an awesome little pack which lives in the cupboard. Why not give it a try? We’re certain you will be very pleasantly surprised! 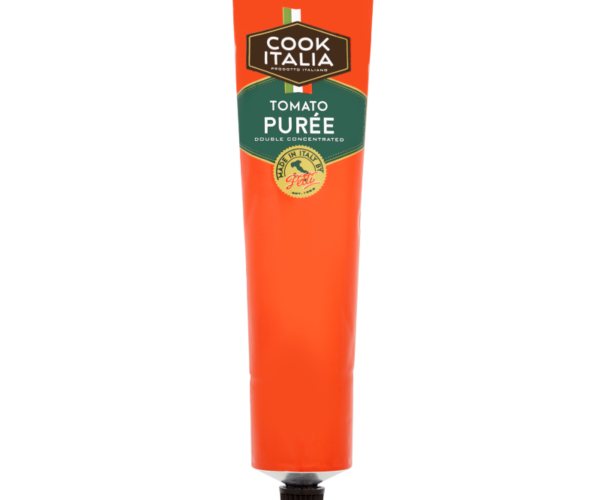 The intense tomato richness of our Italian tomato purée comes from cooking ripe, sweet tomatoes to reduce their natural water content. 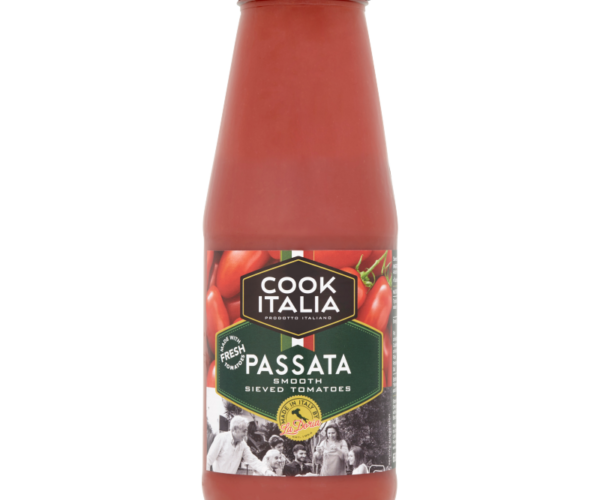 This creates a concentrated tomato paste which adds the rich red colour and deep tomato flavour to so many Mediterranean dishes. Our Italian Plum Tomatoes stay on the vine until they are perfectly sweet. 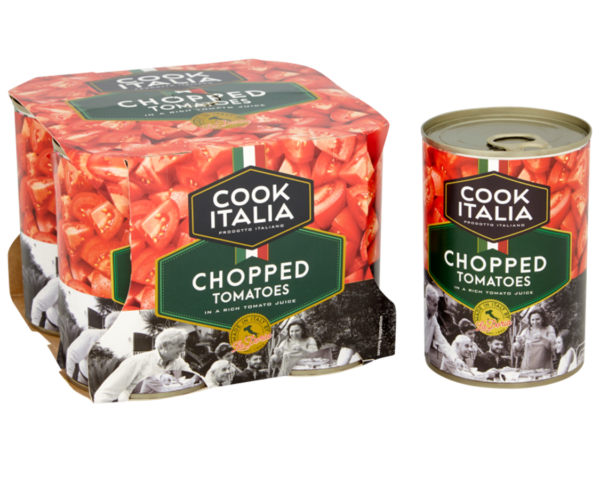 Then they are harvested and sorted, and those which are selected for Cook Italian are steamed and peeled before being packed into the easy-to-open cans we use every day. 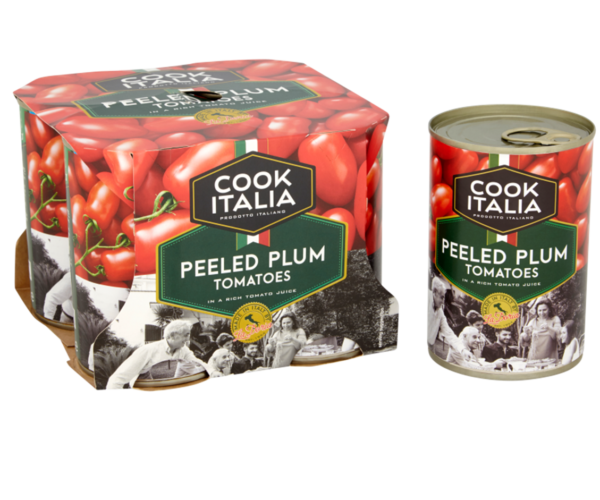 Ours are available in 4 packs and in single cans, ready to add that unctuous sweetness that can only come from genuinely Italian plum tomatoes.